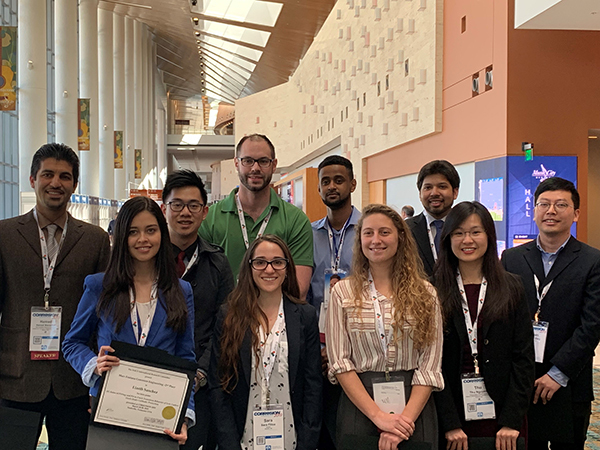 All week, students from around the world have been showcasing recent research projects at NACE’s 2019 Student Poster Session, sponsored by BP. Students prepared posters that summarize their research and presented them to a panel of judges and conference attendees. With over 100 posters, judges had to work hard to select the top 9 posters from 3 award categories: the Marcel Pourbaix Prize for Corrosion Science, the Mars Fontana Prize for Corrosion Engineering, the Harvey Herro Prize for Applied Corrosion Technology. Additionally, the Best Undergraduate Poster Prize was awarded. Help us congratulate this year’s winning students!